The Fort Jackson Museum at Fort Jackson chronicles Army training from Colonial days to present. The collection contains over 4,000 items including weapons, uniforms, and vehicles from World War I to the present. Operating hours are Monday through Friday from 9 am to 4 pm. Admission to museum complex is free. Inside the museum you find a diversity of history preserved and presented in an educational environment. 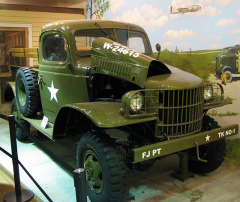 You will not want to miss visiting this museum during your stay in the Fort Jackson Area. A complete list of attractions for the area maybe viewed at the Greater Columbia Visitor's Bureau.